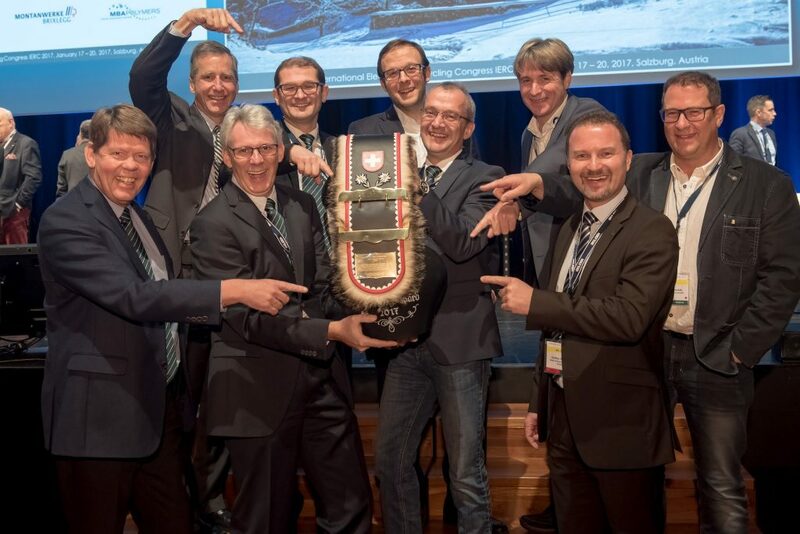 Christian Müller-Guttenbrunn and his team were honored in Salzburg with an award in the form of a cowbell. Christian Müller-Guttenbrunn was honoured with the „IERC Honorary Award“ during the 2017 IERC conference in Salzburg. 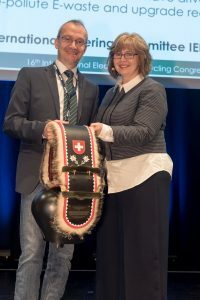 This award – in the form of a large cow bell – is handed over annually to an outstanding personality from within the global recycling sector for E-Waste. This year, the jury praised the Müller-Guttenbrunn Group for its special commitment to the environment and its constant innovative strength. Not only the foundation of new companies in Austria and Eastern Europe, but also – and particularly – the development of new recycling processes in the recycling of E-Waste were mentioned as highlights that formed the basis for this recognition.